If you are thinking about dipping your toe in the water of PBL this year, then this article could provide you with some useful suggestions. 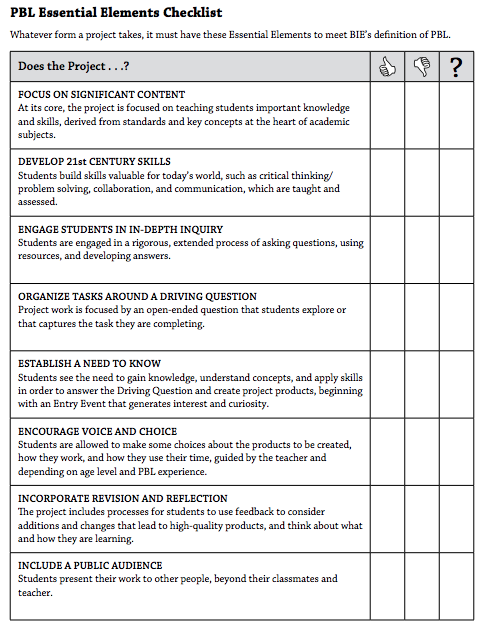 My favorite resource from this article is the PBL Project Checklist– a simple but powerful tool from the Buck Institute for Education. This entry was posted in design/engineering, K-12 General Science, STEM. Bookmark the permalink.